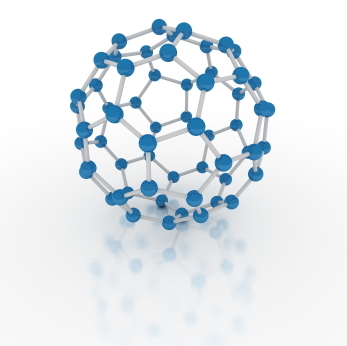 Carbon Nanotubes, and their corresponding Buckyballs, are the hottest short term nanotechnology rolling out this decade. They are incredibly multi-functional. Carbon is the perfect lego block element. It can connect up to 4 other carbons in infinite combinations. Given the right conditions, it will self organize complex structures. One of those is a soccer ball shape or buckyball. Another is nanotubes with a length to width ratio is over 100,000,000:1. Thinking Exponentially, our ability to finely control and self assemble carbon into more connected structures is growing geometrically. Nanobud, Torus, and multi-walled nanotubes are just a few examples. Multi-walled nanotubes are simply tubes within tubes, but they can spin and slide again each other. Each configuration has its own special properties: magnetic, conductor, insulator, sometimes with unbelievably impressive results. 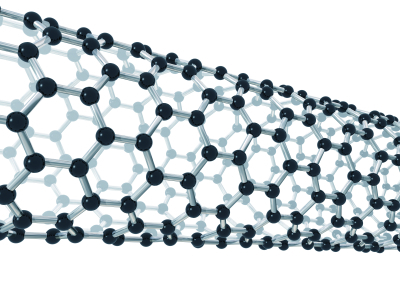 The applications of carbon nanotubes is immense. In solar cells they can capture energy much more effectively that todays best. In batteries nanotubes make super efficient energy storage because they can store energy in structure – springs. In medicine buckyballs can be used as packages for carry drugs to destinations, such as chemotherapy. Likewise, nanotubes can also be inserted into cancer cells, acting like antennas to focus cell killing radio waves. In the military, nanotubess have been shown to absorb radar waves. A plane reinforced with nanotubes could fly much farther and faster. First, Nanotubes are incredibly strong. Over 100x stronger than stainless steel. Which means that you can create, under optimal conditions, something that would be as strong as stainless steel and weigh 1/100th as much. They can also be made to be extremely flexible. Forming everything from a nano rebar to nano springs. Nanotubes, based on how they are bent and connected yielding all sorts of interesting properties. One of the most important is to create computer transistors. Expect to see nanotubes serve as the foundation of the next generation of processors. A fundamental shift in how computers are built when the current silicon solution hits its limits. IBM is arguably the leader in this field. Nanotubes are the next generation material to continue Moore’s Law. Today nanotube technology is in its infancy. Industry simply mass produces nanotubes and adds them to a material to improve strength to weight ratio. Economically this works and it will scale. Think Exponentially, as the tools to organize nanotubes and buckyballs into more precise combinations with volume and structure, expect to see major improvements in everything from electronics to medicine. Nanotubes is the empowering material nanotechnology, the catalyst, which will drive many industries.